Nail mail, nail mail, guess who got nail mail! Me! How exciting!! Haha. I've been planning a polish exchange with Inés @ Càrritx i roses for what seems like ages (and in reality was over a year). The idea was that I would send her polishes from Canada that she couldn't get, and she would send me polishes from Spain that I couldn't get here. I won't say what our polish number was supposed to be, but I will say that my lovely exchange partner went ABOVE AND BEYOND WHAT WE AGREED ON. Hahah. But oh man, did I appreciate it! She also sent me a ton of snacks and sweets, but I have to admit that I have eaten them all already so you can only see those on the instagram pics I took when the package arrived... Oops!! 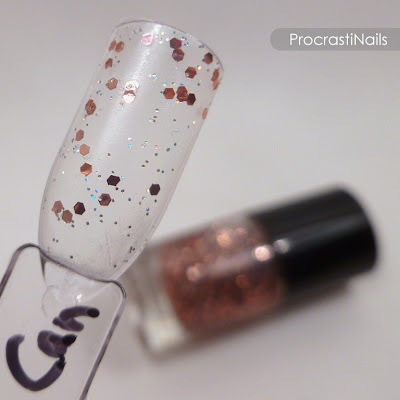 Kitch Me If You Can is a gorgeous rose pink hex glitter topper with a bunch of holo microglitters scattered throughout. I think this will look stunning over a white base, possibly with a matte top coat? I'll have to play around! :) Catrice is one of those brands I've heard about and seen on other people's blogs, but that I have never seen for sale in Canada. So this was an exciting one for me to unwrap! One thing I had to get used to when I first started getting polish from overseas was that there's this weird (to me) tendancy to number polishes rather than naming them. I mean, I guess it's easier for the company when they don't have to come up with a cheesy/clever name. 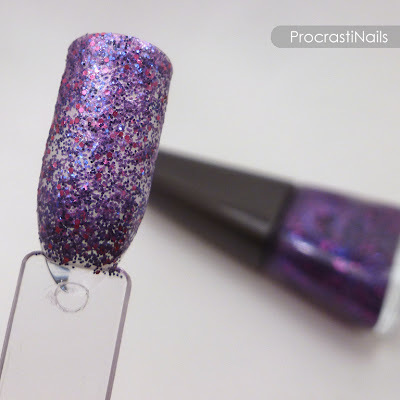 But still, it's sounds so boring saying "Ohhh, I just got DP Glitter number 505! It's lovely!" You know? Anyway, 505 is this perfect pink/brown/silver metallic with holo microglitters scattered throughout. And I will certainly be getting a lot of wear out of this one, let me tell you! Textured polish! Woohoo! We all know I have a problem when it comes to textured polish, so I was ecstatic when I pulled this bottle out of the package. 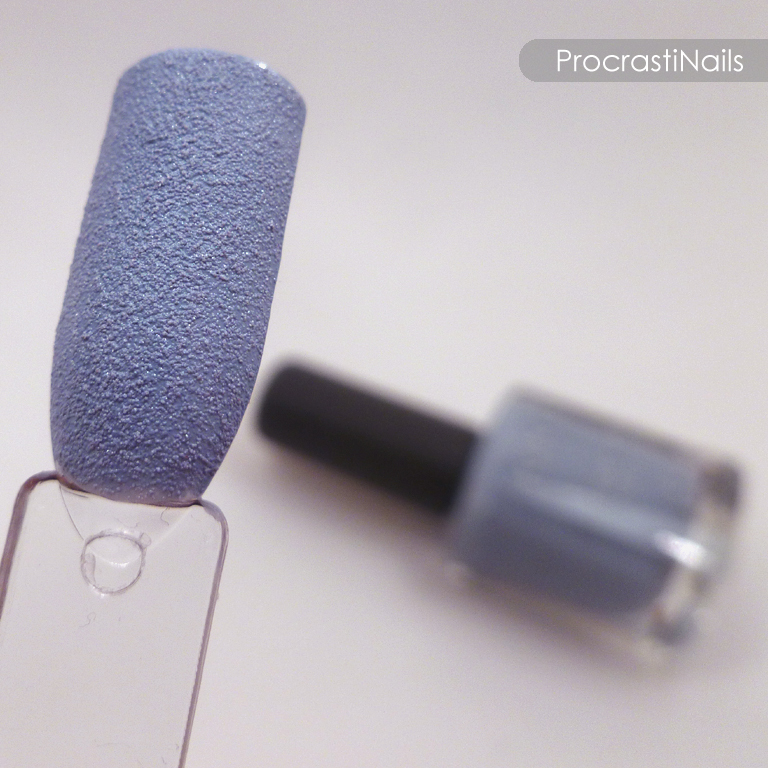 635 is a snazzy periwinkle blue with amazing coverage. This is two coats, but if I had to run out of the house this could passably be slapped on with one coat. That's my kind of polish! And a neutral! 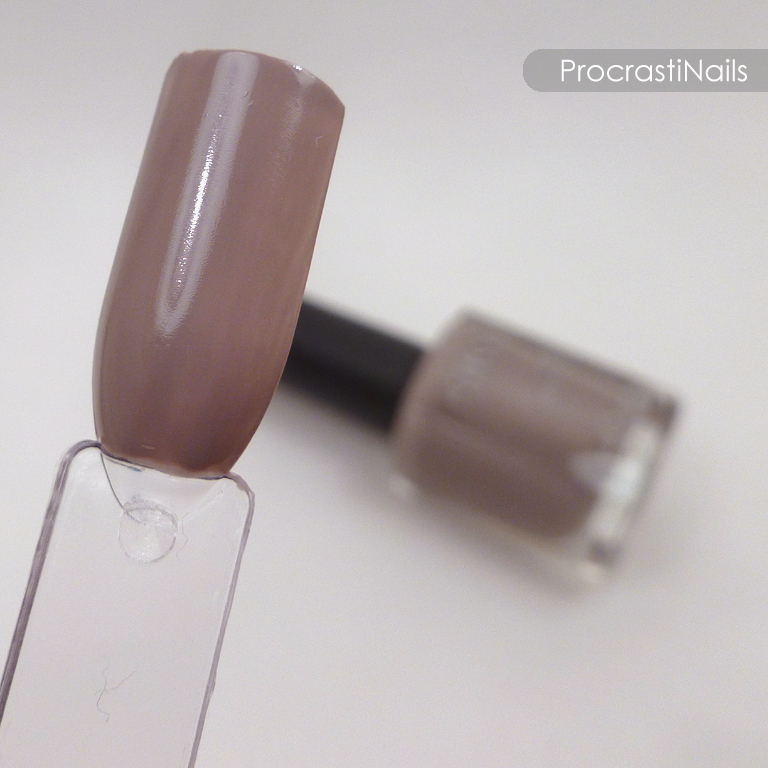 My love of neutrals is in competition only to textured polishes, so Kiko has my number. I would describe 319 as a taupe grey, and the shade kind of reminds me of elephants... Is that weird?? 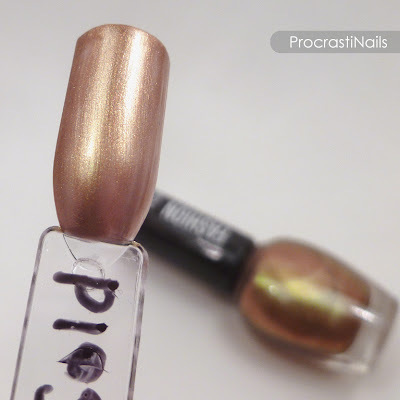 This is a polish you have to see in real life to get the full effect... Sophisticated Gold is a gorgeous gold and pink duochrome with just a hint of shimmer. I plan to pair this with Manhattan 006 (below) at some point in the future, because I think they'll play off of each other really well. My only concern is that this is a fairly thin polish (pictured here is 3 coats, and there would still be some VNL if this was swatched on my real nails) so it might need some undies. And now the crown jewels of my nail mail (in my opinion)... The Manhattan polishes! This one is from the Bonnie Strange collection (I have no clue who that is) and I was surprised at how it came out on the swatch stick versus how it looked in the bottle. As you can see in the background, in the bottle the gold particles in 006 look almost overpowering compared to the purple base, but when you actually apply it the gold glitters are nicely scattered throughout. I'm not complaining (because it's still a stunning polish), but it was a bit unexpected. And now my absolute favourite from the bunch 71S! Saving the best for last, right? ;) I have nothing like this in my collection, and I love love love it. It's a minty green creme base with a bunch of different coloured glitters (green, gold, red, purple...) scattered throughout. It reminds me of all the indie polishes I have yet to get my greedy little hands on! Ahh, lovely!! All pictures presented here and elsewhere on my site (unless indicated) is my intellectual property and Copyright © ProcrastiNails 2013. Please do not link/re-host elsewhere without asking. 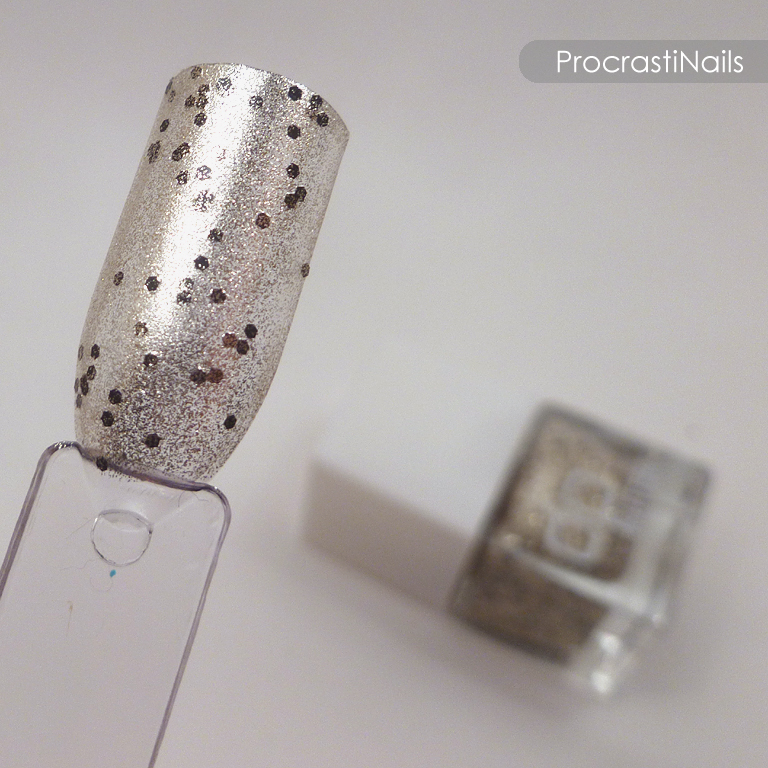 Deliplus DP Glitter No 505, I liked how different this was, hopefully the holo glitter looks nice on the nails! Manhattan Lotus Effects 71S, I had a feeling you'd like this one best haha Definitely the most unique of the lot! This has been so much fun! <3 We definitely need to do this again sometime haha If you see any colour you want that I can get for you (or anything, really), let me know! I didn't post swatches on my post but I've been uploading pictures of them on Instagram, btw. Long comments are awesome, don't apologize lovely! Haha. 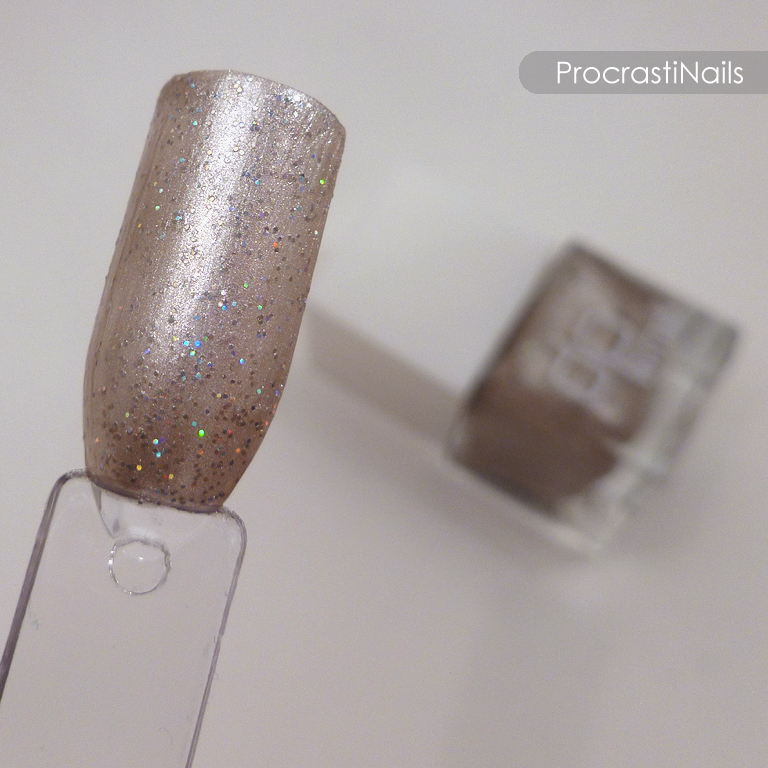 :) The holo in DP Glitter 505 is STUNNING. I need to find a way to photograph it better. Also no worries about 507 looking like the OPI shade... 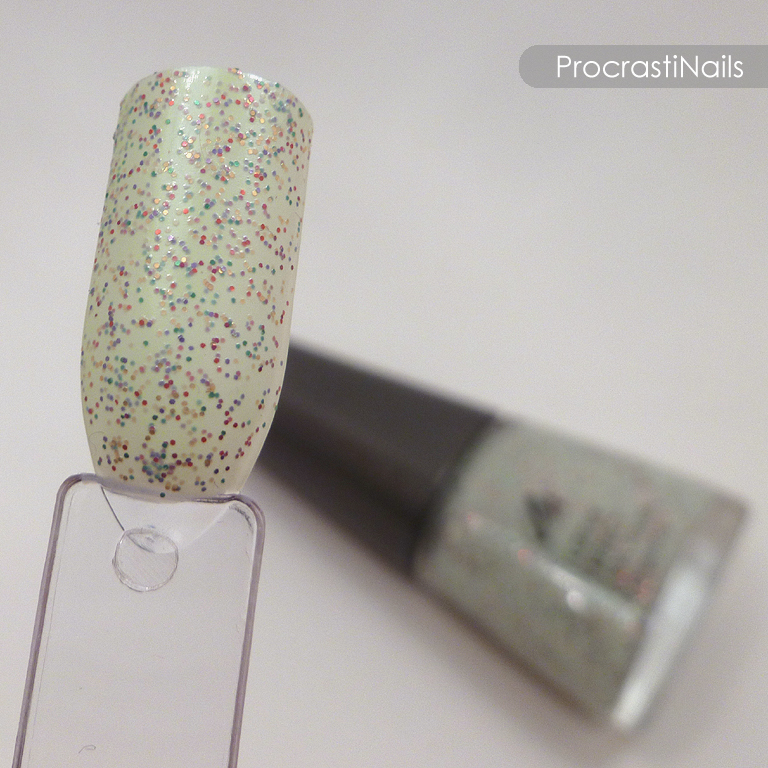 It's a stunning polish either way and I'm sure it'll be put to good use! And anyway, if it came out first that means that it's the OPI one that is a dupe!! This was serious fun, and I am 100% down with doing this again sometime. :D :D And same to you, if you see anything that you want (other than a certain CG polish you want that I'm already keeping my eye out for) let me know!!! 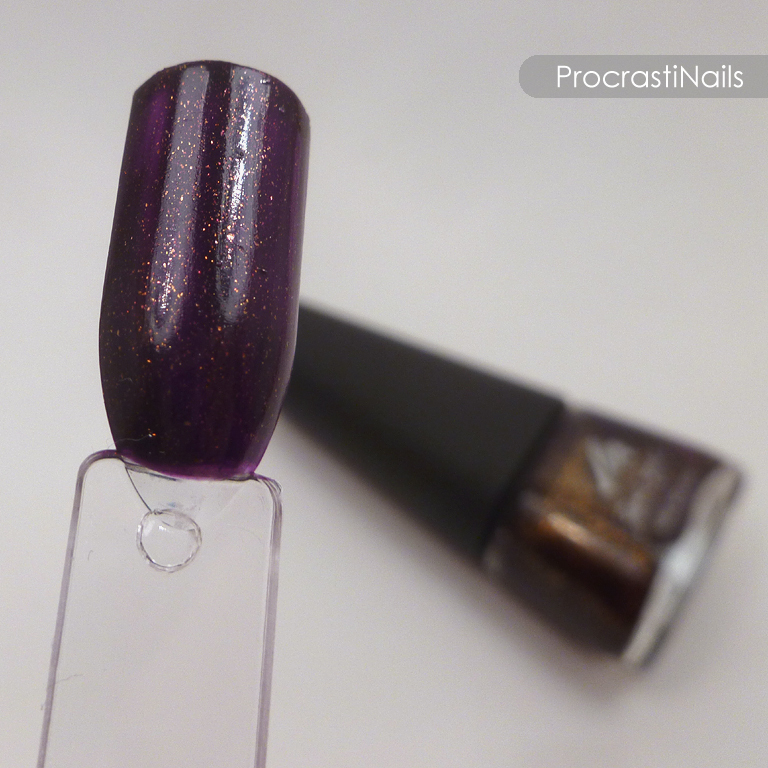 Oh gosh, I had no idea about that Manhattan's collection; 006 is gorgeous! 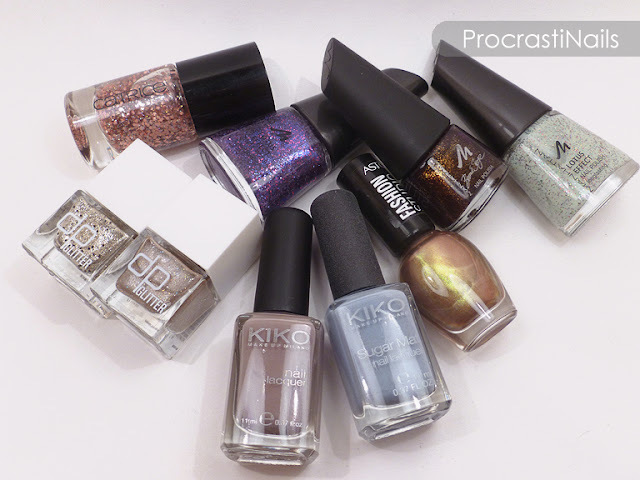 And I hope you'll love those Kiko polishes, I'm really impressed by them - pretty affordable (well..they don't sell them in my country, but luckily travel within Europe can be quite cheap :D and so I try to get a bunch when I do find them, lol), wonderful range of colours and REALLY long-lasting (at least on me).